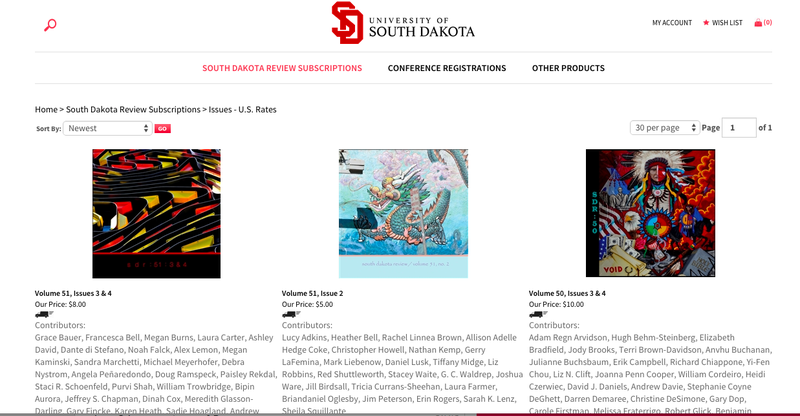 You Can Now Subscribe to South Dakota Review and Order Back Issues Online! We have very exciting news about the journal! You can now subscribe to our journal and order back issues online! With special thanks to University of South Dakota English Department Chair, Darlene Farabee, for all of her work in facilitating our transition to online subscriptions and ordering possible! Previous Previous post: 50th Anniversary Issue Tumbleweeding Now!